In today’s economy, it can be tough to make ends meet— but seniors face particular financial challenges. 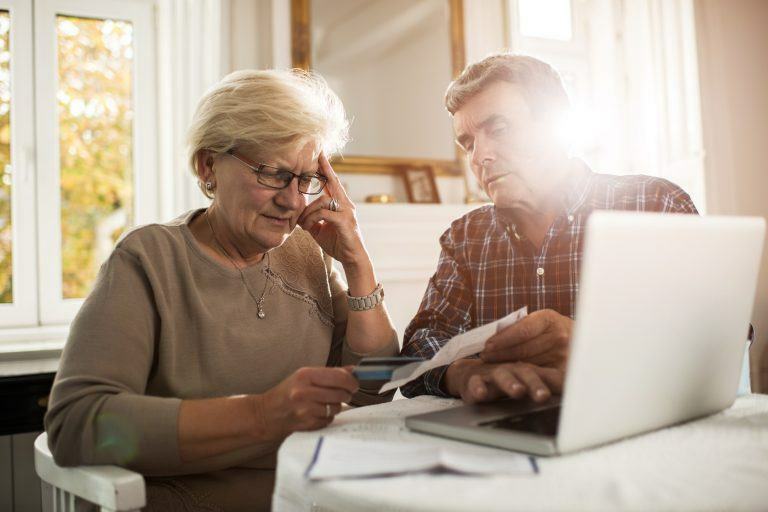 According to the National Council of Aging, nearly 1 in 4 seniors say they’re not certain they’ll be able to meet their monthly expenses over the next coming years— and for those living on a fixed income or forced to pay for medication, the problem is that much worse. 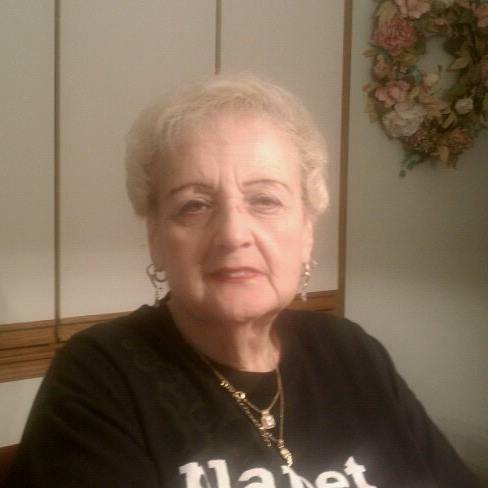 Delores Marotta, a 75-year-old from Detroit, Michigan, is no stranger to financial struggles. Her husband died four years ago, and ever since then, she’s had trouble paying for the necessities of life. Between property taxes, groceries, and utilities, she usually finds herself short on cash. 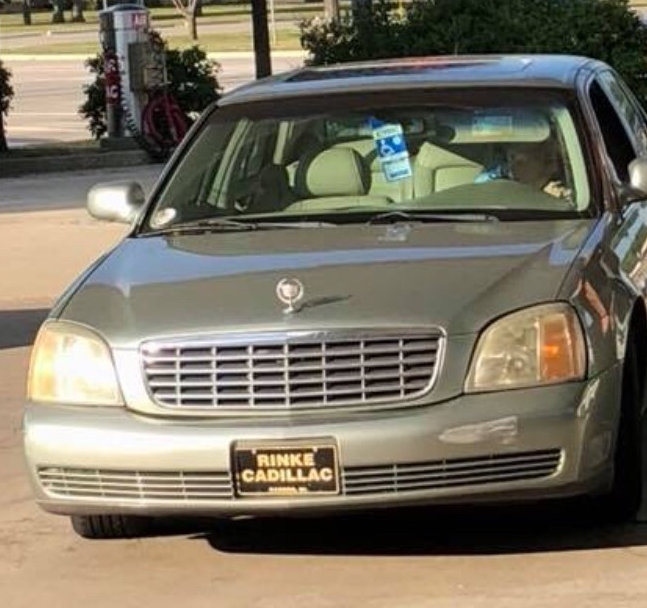 Often, she isn’t even able to buy gas for the car she was lent to get to her appointments. On August 31, in particular, the senior was worried about making it to her next doctor’s appointment. She only had $3 to her name until the next Social Security check— which didn’t leave her very many options. 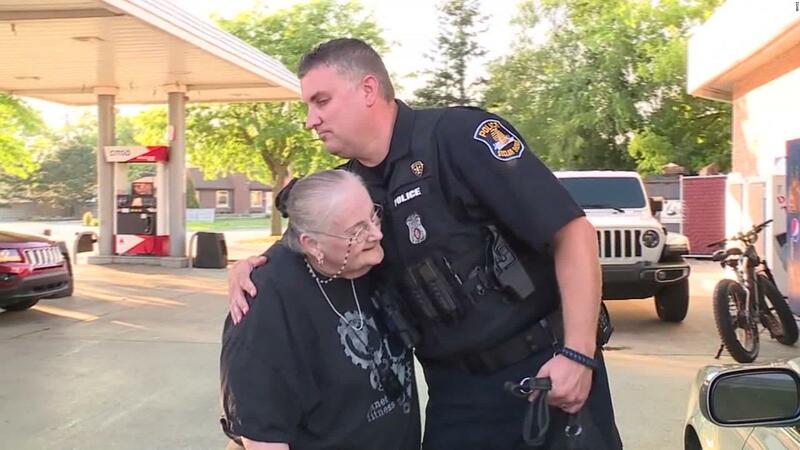 That day, when Delores hobbled into the local station, a St. Clair Shores Police Officer overheard her asking the attendant for 3 dollars’ worth of gas. 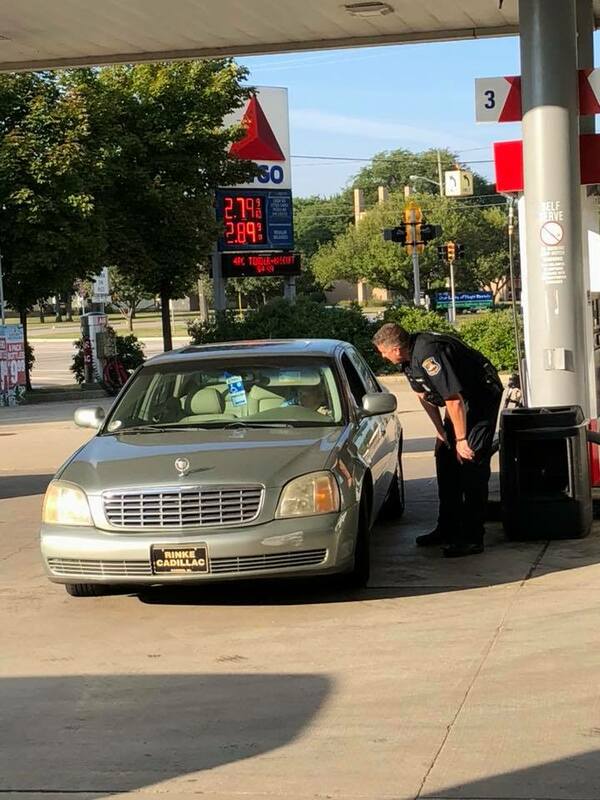 Hoping to do a good deed, the officer followed the senior back to her car and offered to pump her gas. While there, the two chatted, and Delores told him about her life. 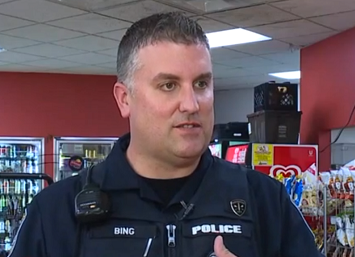 When Bing learned the extent of Delores’ financial struggles, he immediately went back into the gas station and bought her an additional 20 dollars’ worth of gas. “It was just the right thing to do,” the 17-year veteran said. When Bing went inside to pay for the gas, he was surprised to hear the gas station owner had captured he and Delores’ interaction on film. “He’s like, ‘Dude I took a picture of you. I’m putting this on Facebook,” Bing recalled. The owner, Seth Kasyouhanan, shared the image on Facebook where it has garnered over 23,000 shares. After sharing the photo, Kasyouhanan received thousands of messages from people offering to donate money to Delores. 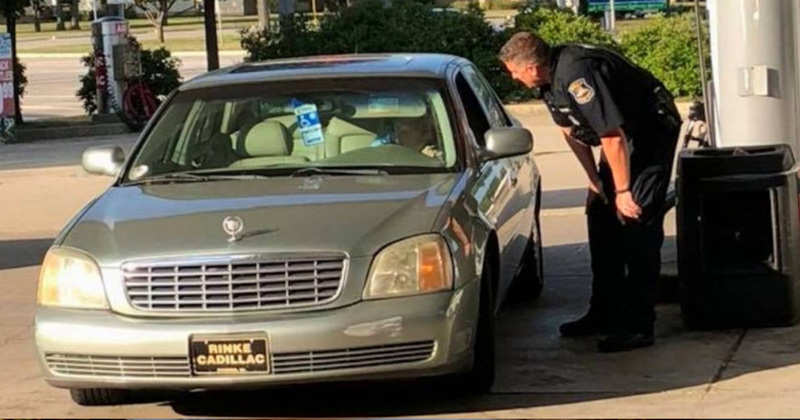 “I didn’t think that everyone ought to come in and give me cash, so I thought the only way this would work would be to make a GoFundMe account,” he explained. Kasyouhanan created a GoFundMe account for Delores with a goal of $5,000 to help pay for her expenses. At the time of this writing (September 12), they’ve raised over $22,000.